Autumn is here. Look what’s happening! A widely eclectic array of performances, exhibitions and happenings this coming month. A multi-layered performance to celebrate the 50th anniversary of Samoan Independence, life drawing, a bountiful supper club, a show of Dutch Collector’s artworks, a travelling exhibition of ceramics by emerging international artists and an opportunity to see previously unseen photos of Bob Dylan. ‘Samoa achieves 50 years of independence in 2012. Come and experience our London celebration,walking forward with us into the past touching both history and legend through the arts. A CHIEF. A CANOE. AN ESCAPE. A LEGACY’. 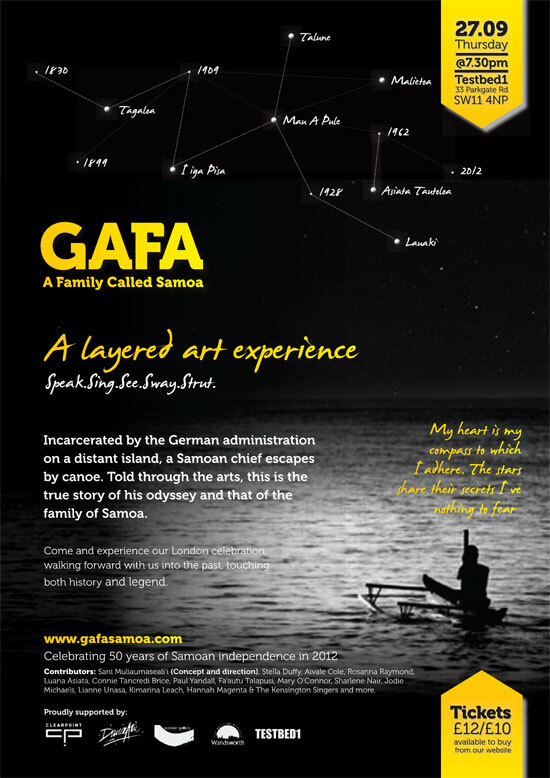 ‘Gafa A Family called Samoa’ is a layered art experience based on history and legend that comes to life through spoken word, film, music , movement. and installation. ‘We have come together as a cross-cultural and cross-disciplinary group of London based artists to collaborate and celebrate the 50th anniversary of the independent state of Samoa’ says Samoan Creative Director & Opera Singer Sani Muliaumaseali’i. (Royal Opera House Covent Garden), ‘the tales presented in Gafa take their inspiration from acts of heroism, some long forgotten, of the Mau a Pule independence movement of the early 20th century’. Celebrated New Zealand author Stella Duffy, who is writing & performing for GAFA, describes the layered art experience as ‘one that offers both truth and entertainment, but also heart and warmth in a London autumn’. Duffy is also ‘excited to be working in several art forms at once’. New Zealand born Rosanna Raymond, an Arts Innovator with Samoan heritage says, ‘I want people to realise that Samoa is a dynamic, living culture, that engages with the world through its people’. Raymond, also a published writer, whose art works are held in museums around the world, is exhibiting her aesthetic appeal in this unique collaboration. In his filmic trilogy ‘Odyssey: I alo’ New Zealand/Samoan film maker Paul Yandall is ‘bringing the human tale of a search for identity, though Gafato the heart of London’. Ensuring that Gafa stays in tune are opera singers Samoan Aivale Cole and Australian Louise Callinan, alongside the Kensington singers & local songstress Jodie Michaels. 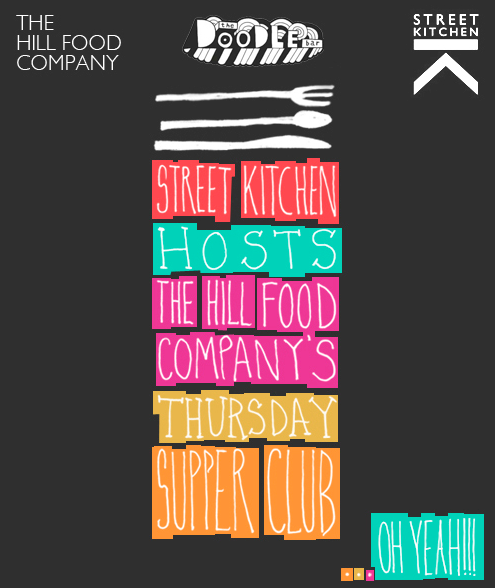 On Thursday 4th October, Street Kitchen will host The Hill Food Company for the first of their Thursday night supper clubs at TESTBED1. Their menu is inspired by what they feel food should be about; tables piled high with slow cooked meats and raw, pickled vegetables, valuing food’s ability to bring people together, to share and to engage. ‘We focus on flavour rather than on a specific style in our menus, and take our inspiration not just from one type of food or region, but instead a multitude of influences, food cultures and backgrounds, all blended and worked together just like the city we live in. Our plan is to show our guests that great food is at the heart of great entertaining. By using simple British produce, interesting cooking methods and intriguing spices and flavours from all corners of the world, we will show that fantastic tasting food doesn’t need to be difficult. We hope to inspire people back into their kitchens’. Tickets for the event are £35 for 4 courses. Fantastic wines and other drinks will be available to buy at The Doodle Bar. Expect long tables and communal dining, making the most of the TESTBED1 space. NL-Dutch Cultural Pop-Up Projects & Kingdom of the Netherlands present: Collector’s Items No.4: ‘Reconnaissance – Dutch Collector’s Eyes and Some of the Places They Look’. 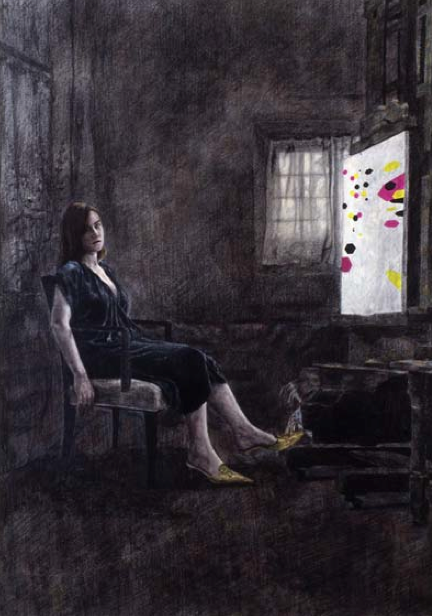 Exhibition runs from Friday 12th Oct – Sunday 14th October 2012. 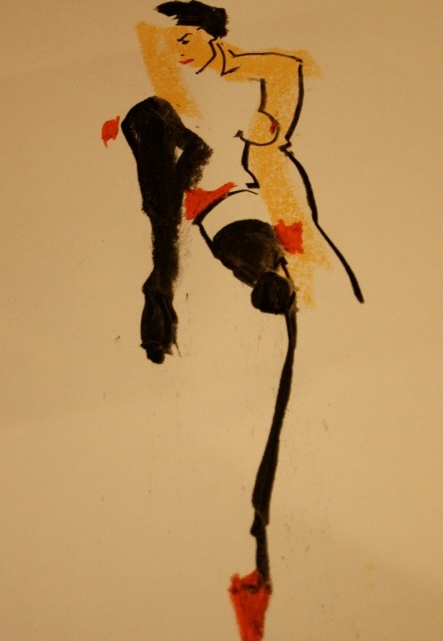 Private View: Friday 12th Oct 7.30pm – 9.30pm. Celebrating the international scope of Dutch contemporary art collections, ‘Reconnaissance’ is a unique collaboration of Dutch collections, galleries and non-profit spaces. With a knowing nod to the London art fair season, ‘Reconnaissance’ will feature presentations of works by artists in a range of collections including those of Cobra to Contemporary: Hugo & Carla Brown, Pieter Saunders, Antoine de Weerd and Chadra Art Collection amongst others. Projects will also be presented by BoetzelaarINispen, Galerie Diana Stigter, Rokeby, Galerie Ron Mandos and MU, amongst other participants. Artists whose work will be featured include Silvia B., Phylidda Barlow, Marc Bijl, Dirk Braeckman, Jemima Brown, Iris van Dongen, Constant Dullart, Sean Edwards, Tim Enthoven, Karin Hannssen, David Haines, Arjan van Helmond, Heringa/Van Kalsbeek, Hendrik Kerstens, Aukje Koks, Anouk Kruithof, Cristóbal León & Joaquín Cociña, Ed Lipski, Raquel Malwurf, Ryan McGinley, Janice McNab, Warren Neidich, Muntean & Rosenblum, Sadie Murdoch, Erwin Olaf, Seb Patane, Nicolas Provost, Thomas Raat, Gideon Rubin, Amalia Pica, Christoph Schmidberger, Christain Schoeler, Michael Samuels, Levi van Veluw, Szabolcs Veres, Martin C. de Waal among others. Free entrance to the public during all public opening times: Fri 12 October 19:30 until 21:30, Sat 13 October 12:00 until 18:00 & Sun 14 October 2012. Fragile in Transit offers an opportunity to see exciting new work by emerging international ceramic artists at the Doodle bar. This travelling exhibition is curated by Project Network 3(three) a collective of nine ceramicists. The pieces which all reference ‘balance’ in some way will travel between each of the artists’ hometowns, visiting Helsinki, Vilnius and Milan, amongst others. After a successful opening exhibition in Belfast’s Maxwell Street Studios as part of Northern Ireland’s Craft Month, the show will travel to Bornholm, Denmark and then onto London where the work can be seen in the Doodle bar; an old Victorian dairy warehouse in Battersea. The show opens at 6pm on Thursday 18th October 2012 and runs for one week. The group met at a six week symposium for recent ceramic graduates at Guldagergaard International Ceramic Centre in Denmark earlier this year. For more information and to follow the journey of the pieces please click here. 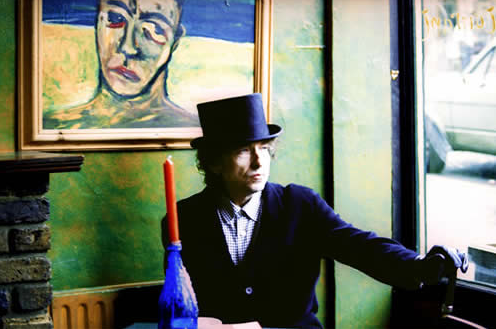 BLOOD IN MY EYES features previously unseen photographs of Bob Dylan to launch photographer Ana Maria Velez Wood’s debut UK show this October. Taken during Eurythmics founder Dave Stewart’s filming of the Bob Dylan video Blood In My Eyes in 1993, many of these images have yet to be seen in public and will be displayed in an excitingly diverse range of mediums as limited edition prints. Now with the kind permission of Dylan and his Personal Manager they will be brought to life in the industrial ex dairy warehouse project space TESTBED1. Mondays: ROSEMARY will be in the bar every Monday evening (6.30pm-9.30pm) doing tarot card readings. Wednesdays: Ping Pong Tournament – sign up from 6pm, games start at 7pm + ABSOLUTE PEACH nails – nail painter Lauren will be in the bar from 6.30pm ready to jazz up your nails. Fridays: THE POCKET BAKERY – every Friday (noon-3pm) selling their freshly baked breads, cakes and other delicious, freshly baked goods. From 7.30pm STREET KITCHEN will be serving up their juicy burgers and rosemary salt chips. Don’t forget – we are currently doing two for one on all our cocktails, Monday – Thurs 5-7pm. 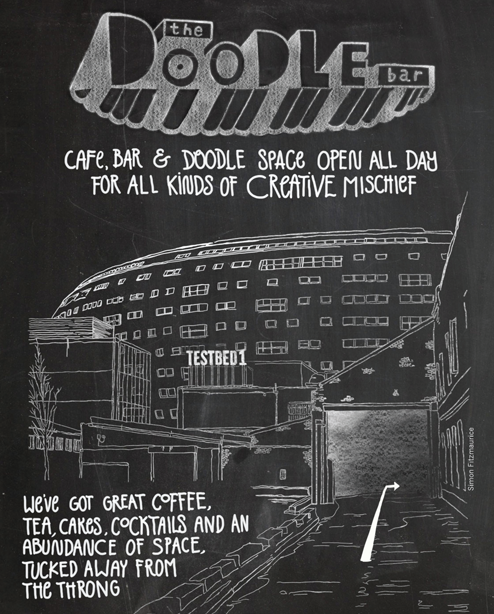 Don’t dawdle, come and doodle! Especially when their beautiful breads are sold from The Doodle Bar. POCKET BAKERY – The Doodle Bar – every Friday noon-2pm.